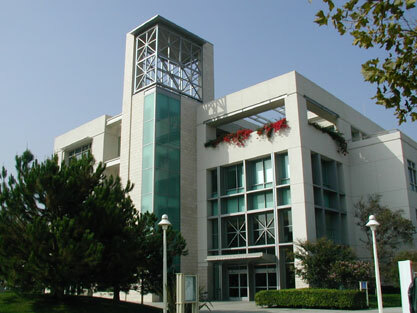 The Argyros School of Business and Economics at Chapman University in Orange County, California delivers exceptional MBA, EMBA and undergraduate accounting, business and economics programs. World class professors, intimate class sizes, experientially focused education coupled with a beautiful campus propels students to outstanding opportunities in industry and to leading graduate programs. The Argyros School continues to build upon the success of its top ranked faculty, dedication to teaching and its award winning research centers to distinguish itself among the top management schools in the United States. Students entering Chapman have three years of work experience on average, and though the school prefers students to have spent at least two years in a professional field, they do accept strong applicants with less. The GMAT is required for all programs except the Executive MBA; the GRE cannot be substituted. In addition to GMAT scores, the applicat...Students entering Chapman have three years of work experience on average, and though the school prefers students to have spent at least two years in a professional field, they do accept strong applicants with less. The GMAT is required for all programs except the Executive MBA; the GRE cannot be substituted. In addition to GMAT scores, the application package must also include two recommendations from people who know the student "in either a professional or academic setting." Students must have a minimum undergraduate GPA of 2.5 for the last two years of college, but the average undergraduate GPA of the entering class is considerably higher. Interviews are required for the fulltime and Executive MBA program, while interviews for the Flex program "are by request or invitation." International students must take the TOEFL and have minimum scores of 600 for the paper-based portion, 213 for the computer- based, and 87 for the Internet-based portion. Applications for the full-time and Executive MBA programs are accepted for the fall semester only. Applications for the Flex Program are accepted for the fall and spring. Chapman’s MBA program “has only become stronger with the addition of a highly visi­ble office (Career Management Center) on campus,” which employs “three full-time career placement specialists” to assist and support students in reaching their career goals. The center provides lots of specialized opportunities through individual career counseling and its many networking events, including the “Dinner for Eight” program, where eight students are selected to have an intimate dinner with a local business leader. One student says that the greatest strength of Chapman isn’t the Career Management Center but “the people associated with the school,” who provide “strong contacts, great jobs, networking, and lasting business relationships.” The majority of graduates accept­ing new jobs took positions in the consumer products field, or in media or entertainment. The top five employers last year were Standard Pacific Homes, Ingram Micro, Experian, ADP, Commerce National Bank, Lanes Capital Partners. Chapman University, a “small,” “beautiful” private university in Orange County, California, has a “very strong MBA program” that offers students a great education. But “It’s not just about the classes,” at Chapman. “It is about the relationships, the network­ing, and the experience. It is a comprehensive, 360-degree program.” Chapman is “a research-intensive university” that offers “entrepreneurship incubators” and many other unique opportunities to its enthusiastic students. This is just one of the many reasons stu­dents are convinced that Chapman “will become one of the top business schools in the nation.”Chapman’s distinguishing features include its programs in Entrepreneurship and Financial services, a dual MBA/MFA in Film and Television Producing, a “good study-abroad program” and its popular Flex MBA, which allows working students to attend full- or part-time during the evening. Chapman’s traditional full-time MBA program has a strong focus on student career campaign. Students in both programs receive the major­ity of their credits from Chapman’s core curriculum, which provides a solid foundation in business and finance. Electives include entrepreneurship, international business, cor­porate entrepreneurship, and marketing.Students say they receive a “very personalized education” from the “outstanding facul­ty.” Chapman’s small classes are taught by “Ph.D.s and established professionals,” who are “dedicated,” “highly accessible,” and “expect a lot.” Academic and professional development is complimented by mentoring programs and contests run by the Ralph W. Leatherby Center for Entrepreneurship and Business Ethics, and research opportunities, conferences, and workshops hosted by the A. Gary Anderson Center for Economic Research, The Walter Schmidt Center for International Business, and Larry C. Hoag for Real Estate and Finance. Beyond the campus, the school has strong ties to the local busi­ness community, which gives students the chance to forge “lasting business relation­ships.” Chapman students say the school does an excellent job preparing them to deal with “current economic conditions” and whatever else they may face in the future. The goal of the MBA program is to provide students with the foundation required to make sound business decisions. Students develop the analytical skills required to evaluate complex business problems and implement strategic solutions. Chapman MBA students also develop the leadership and communication skills needed to succeed in today's business environment. Want more info about Chapman University, Argyros School of Business & Economics Executive MBA? Get free advice from education experts and Noodle community members.